Catholics across Australia are being urged to learn more about the nature of euthanasia and the dangers it poses to society, with the launch of a new pamphlet exploring the truth and the myths of this life and death debate. 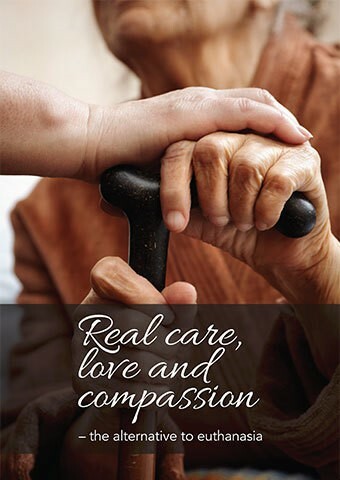 A pamphlet, called Real care, love and compassion – the alternative to euthanasia, has been released today by the Australian Catholic Bishops Conference. The Bishops are responding to a fact sheet released by the National Church Life Survey late last year, which found 22 per cent of church-going Catholics are neutral or unsure what they think about euthanasia. “Suicide is always a tragedy, and all people who are confronted by their mortality, whether or not they are mentally or physically ill, deserve our help and compassion, not a lethal dose. All people have dignity regardless of their health, age, disability, usefulness or other circumstance and deserve our love and support. A genuinely compassionate response will always look to dignifying the life of the person dying. “Euthanasia is not just an issue of personal choice, because it always involves at least one other person. Allowing someone to cause the death of another is always an issue of public concern because it is a power that can so easily be abused. The evidence from countries that have legalised euthanasia, like Belgium and the Netherlands, is that some people are being given a lethal dose even when they have not asked for euthanasia. 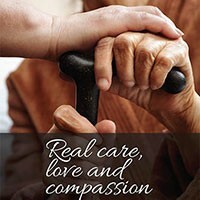 Real care, love and compassion – the alternative to euthanasia can be downloaded free from catholic.org.au/euthanasia. Paper copies can be purchased at catholic.org.au/shop or collected for free from Catholic parishes. Bishop Comensoli is available for interviews on request. This entry was posted in Uncategorized on April 15, 2015 by ACBC Communications.